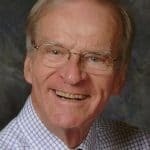 Recent obituary: Patrick Joseph Switz, Jr.
Patrick Joseph Switz, Jr. of Chelsea, age 78, passed away Saturday, March 16, 2019 at Legacy Assisted Living Center. He was born Aug. 26, 1940 in Ravenna, Ohio, the son of Patrick J. and Helen E. (Snyder) Switz, Sr.
Patrick graduated from Newton Falls High School in Newton Falls, OH in 1958. He served in the US Army, then earned his Bachelors Degree in City Planning and Urban Development from Ohio University in Athens, OH, graduating in 1963. He started his career involved in the urban renewal of Cleveland, OH. He then was the Director of Community Development of Cuyahoga Falls, Ohio; Ames, Iowa and St. Charles, Missouri. Patrick was involved in Kiwanis in several communities. He was “the Lawn Ranger”, and loved making his yard beautiful. Patrick was a “car guy” who kept his automobiles immaculate, shiny, and ready to roll. He enjoyed traveling in the USA and enjoying the beauty of this country. Patrick enjoyed making people laugh. A celebration of his life will be held Friday, April 12, 11 a.m. at the First United Methodist Church, 128 Park St., Chelsea with Rev. Joy Barrett officiating. The family will greet people from 10-11 a.m., and there will be a luncheon following the service. Burial will be at Maple Grove Cemetery in Revenna, Ohio.